Some exciting news for you today! It's Blog Hop time!! Today we are CASE-ing (Copy & Selectively Edit) the wonderfully talented Nadine Köller, who is also joining us on this hop! I hope you find great inspiration from all the projects in this hop. You may be starting the hop here at my blog (Jessie Holton) or you may have come from the previous person on the list. Be sure to click on the next person in the list to continue your blog hop adventure casing Nadine's work. And here is my version. I ended up going with Peekaboo Peach & Pool Party with a pop of Basic Black. 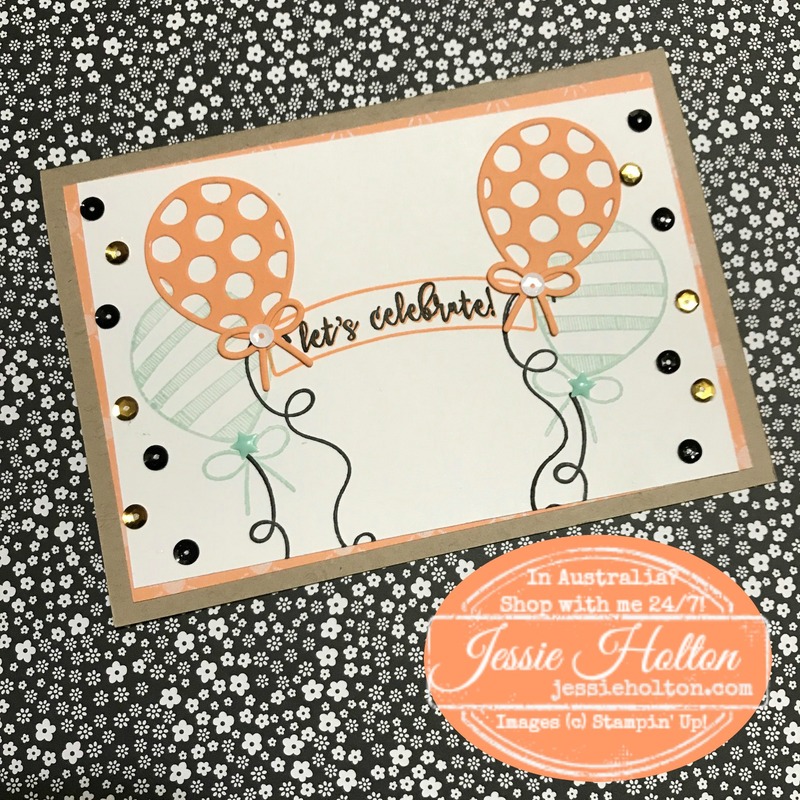 I've added the Subtle Enamel Dots in Pool Party & the Metallic Sequin Assortment in Black, Gold & White. I've added a layer of Peekaboo Peach paper from the Tasty Treats Designer Series Paper (DSP) & a Crumb Cake base. 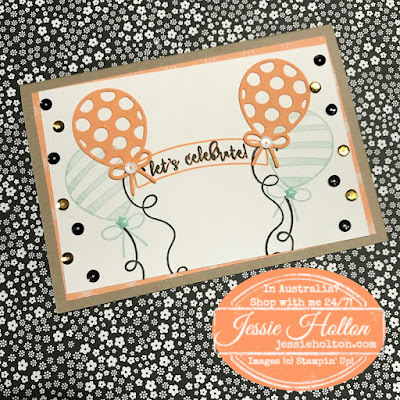 I'm going to miss the Balloon Adventure Bundle & Tasty Treats Suite from the Occasions Catalog! I hope you have enjoyed my card & that you continue the fun, hopping through the following list! You are currently visiting Jessie Holton.